Low cost ISP TalkTalk has completed the deployment of ASSIA’s CloudCheck software to their Wi-Fi Hub (Sagemcom F@st 5364) broadband router, which they claim can “proactively” improve the wireless (WiFi) performance of the device through “contextual analytics” and “machine-learning algorithms“. The new router firmware essentially appears to take a similar approach to Virgin Media’s recent “Intelligent WiFi” upgrade for their own Hub 3.0 kit (here), which similarly provided real-time monitoring and optimization of the home WiFi network. According to the spin, TalkTalk’s CloudCheck upgrade – once installed on the Wi-Fi Hub via new firmware (updates like this are done automatically by the ISP) – “utilizes cloud-based machine learning and analytics to evaluate historical and real-time conditions of the Wi-Fi environments to makes automatic, contextual- based optimizations that are ideal for each node on the network.” Okey dokey. On top of that TalkTalk are also making use of the related TruSpeed service, which we covered in more detail last year (here). This is designed to measure your broadband speed from the router (much more accurate than doing a speedtest over WiFi) and will help the ISP to meet Ofcom’s new Broadband Speed Code (here). “In-home Wi-Fi performance is increasingly becoming the primary factor in how a residential customer perceives the quality of service provided by their internet service provider. The press release doesn’t mentioned it specifically, but ASSIA’s CloudCheck platform is usually accompanied by a Smartphone app that is says “turns subscribers and field technicians into Wi-Fi experts.” We’re checking to see if TalkTalk will also be offering this to their broadband customers and will report back. * SpeedTest: Measures the end-to-end broadband and Wi-Fi throughput simultaneously to identify performance bottlenecks. * SweetSpots®: Continuously measures Wi-Fi throughput to identify coverage dead spots and create home surveys to assist with the installation. SweetSpots® is available in the CloudCheck Mobile App or can be downloaded as a standalone app. * Smartifi®: Provides a full network view when the agent is present and enables the user to take actions and view recommendations that would help resolve existing issues. * Remote Management: Provides access to the Smartifi view and functionalities from anywhere once the proper authentication is established by the user. This helps users manage their networks remotely and field techs conclude work orders and generate birth certificates. 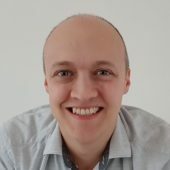 On top of that we note the “scoring and data mining capabilities” of the CloudCheck platform will be released for TalkTalk to use in June 2019, which will apparently enhance their Customer Service Dashboard by making it easier for support agents to identify issues and solutions to poor connectivity. We’ve also found a page with more details on CloudCheck, although it’s a tedious read of jargon and marketing. TalkTalk informs that they will not be offering the supporting Smartphone app to their customers, probably because it might get a bit confusing with all the other apps around. Apparently the new software was introduced to the Wi-Fi Hub as part of firmware version SG4K10001E00t. Just leaves more customers with WIFI problems stranded as TalkTalk refuse to change the kit with “no fault found”. Yes its wasteful for TalkTalk to change out a perfectly good Router but it doesn’t solve the customer problem. What they need is good help and guidance. For me I wouldn’t feel comfortable with any of these cloud based monitors. Modem only possibly. Router/WIFI no. I disagree apps like this help people position the modem/router in the ideal spot in your home, with simple to follow instructions. If you follow it and performance is still totally unacceptable then chances are no matter what you do short of constantly moving the modem/router or the device you are using into the same room its still not going to be good enough. As for it sending any type of telemetry data back, if you are worried about things like that you best bin any hardware or software made in the last 5 years to be safe, because their is a raft of it that sends telemetry data back home, including a vast majority of mobile apps, windows 10, even variants of linux before some dummy (who thinks they are smart) mentions that. For most customers the position of their router is determined by the incoming point (DSL/VM). AP points are best sited by survey. Latest MESH products include a positioning app but its local. Yes I know PC OSs in their default state and Alexa/Hive/Google all do it, I just don’t think this one is necessary. I personally segment my home network but we are talking general consumers here. Most user WIFI problems are very simple, self inflicted and often require a little detective work. What you blame there sounds like an issue in this case to take up with BT rather than TalkTalk, unless you are advocating ISPs should also be moving things installed by BT. That issue would also likewise affect any service from any xDSL based ISP would it not? I fail to see how any ISP which is doing as much as they physically can to solve the issue short of paying BT to move the socket is a bad thing. Mesh products are often a waste of money for many or complete overkill, with far cheaper solutions to get wifi in the room you want it in. How well you segment your network is irrelevant, if you run software that rings home with data (geolocation based for a start in all those you mention) then its sending personal data back regardless. I am not advocating anything its the reality for most UK broadband customers that their point of entry will be historic to the dwelling and that’s then invariably where they will site their Router (subject to supplied cables and a power socket). Hence why I and many would recommend placing ISP routers (DSL and VM), into modem mode or locked down and then cabling out to more appropriate router/switch locations. Devices like HIVE I regard as not posing a minimal risk if they are on the RED side of a segmented network or ideally set up to a Guest AP. I’ll probably win the Lottery before getting hacked but the principle is why open your network to unnecessary holes. Seriously how many people have a ‘RED’ side of a segmented network – written like someone who read things in a book or via Google – or guest network to stick their IOT devices on? What’s your issue with ‘cloud based monitors’? They are just processing telemetry collected from CPE? We are talking about the customers of a budget ISP not people handling financial services transactions routinely. If you’re so paranoid pull that XDSL, coax or fibre port out now and only use mobile with burner phones and SIMs via a VPN terminating in a few specific jurisdictions. Average Joe doesn’t have a DMZ, which I think is what you were looking for rather than ‘RED zone’ to place some things in and, regardless, the main uses for compromised IOT stuff are DDoS and proxies, neither of which are impacted by being on a DMZ. Budget ISP’s tend appeal to the lowest common denominator so there isn’t a lot they can do besides having someone sent round to install/optimise the router location/setup. Sorry went off subject replying to Alan. My original comment was regarding the general consumer. But there is a principle here in the increasing use of cloud linked devices which are simply installed then forgotten about. Whilst their use should mostly concern IT Security managers there is no reason why we should be aware at home if the negligible risk can be minimised at little or no cost. To me it’s just best practice when designing a home network. My terminology may be old now for Security zones. My RED zone now appears to be referred to typically as a ORANGE zone. I am not using a DMZ. Im not sure what your point actually is. If you are worried about things phoning home then you should not have any of them. Having devices you mentioned IE Alexa/Hive/Google and blocking access inbound or outbound or locking them down in some manner defeats any purpose of having them in the first place. Alexa needs to communicate both ways fully to work properly. Hive if you block outside access will just mean you can not set you heating etc when not at home (which is one of the major points of it in the first place). If by google you mean google home and its devices the same thing for Alexa applies to those. If you mean google services like search in general then blocking that is pointless as any similar service nowadays which you may use instead will still send telemetry data. How or why you would think something in a modem/router that is just going to help you potentially locate devices better for wifi is some evil thing or bad in any way i just can not comprehend. To be honest, and if you are being honest it clearly was just a bash at TT without thinking things through first. So you’d stick IOT on the Internet. No sandwiching between firewalls either physically or logically, just untrusted and with a big sign asking to be ‘pwned’. Im dunno what his point was in the first place. He has gone from moaning about a feature in a consumer device to mentioning the likes of Hive, Alexa, to then going on about IT security Managers (Like they are going to be running some boggo 4 port home router or devices like Alexa) and then back to Firewalling devices which are designed to be used away from home. Quite what any of it has to do with a device ringing home to say ive helped mead adjust his wifi and now its stronger is puzzling. @CarlT. No DMZ nothing on my network exposed uncontrolled. In a commercial environment typically there would be multiple security zones. I have just two. One for Alexa, Sonos, TV box etc. And a second for home PCs,storage etc. Still trying to ascertain what data is collected on this TT proposal but to assist users it must include connected devices, MAC addresses etc. Just not happy this may be in the cloud by default for these TT users. Much will depend on how TT access and cross relate to other data. I would be happier if it was an elected function and the user agreed to its use. Sorry missed this on CloudCheck “Remote Management: Provides access to the Smartifi view and functionalities from anywhere once the proper authentication is established by the user” may not be as bad as I thought. Congrats then you have 2 separate networks which send back telemetry data and in some way you think 2 networks reporting what you do is better than one. Excellent. @alan. The second zone is locked down regarding ports etc. Any devices attached to the second are by MAC address and up to date regarding OS and antivirus etc. I am very particular what software and configuration I run. Yes not needed by the average consumer but it should be best practice for small businesses, particularly to meet GDPR etc. You also keep mentioning “telemetry data” if it was just that then I would be less concerned. All these devices to communicate with their cloud based software maintain an open link, that is how you can control something like the Hive whilst out. What is proposed here is the inclusion of a “light agent” included within the firmware software which provides two APIs to the Router functionality. On occasion MJ will report Router vulnerabilities that have been found in certain firmware which invariably be dedicated code for the function of the router. If it is compromised any impact would be minimal. However this product adds an API level exposed to the cloud. It is my personal view that we should be cautious regarding devices that have access to our home networks. The consumer naturally trusts the large brands and will expect them to have addressed any security issues. But as the number and type of cloud connected devices increase the cumulative open links to our devices and the ability to correlate data, which individually could be regarded as innocuous, together also increases. e.g if a hacker can identify what devices are on a network then they can move onto the next level and hack a particular device. You clearly do not agree with my concern. That’s fine. That makes no sense particularly if your OS is MS based because some of those updates are not delivered over the common http web port 80 and https of 443. Almost certainly after updates if its MS, Apple or SOME version of Linux OS it will be sending telemetry data back over non conventional ports. If you are running any version of windows 8 or 10 and the account is not local that is also constantly sending data back NOT just telemetry. Unless you are running a version of LTSB/C MS software its also likely your so called locked down machine is constantly uploading various files onedrive account. Id suggest your network is not as immune to sending telemetry data as you may think and having it split the way it sounds you have is frankly a waste of time and effort. What you are concerned about is likely already happening on both your networks. It’s not bullet proof, nothing is but I am fully aware of what is and isn’t being sent. Identified and consented to. As for OSs I go back to CP/M and VAX VMS. The latest ones just need to be appropriately controlled. For the general consumer I just ask that these companies ensure the security of their products remains a priority. You would not know what is being sent only that something is being sent. In the case of your Antivirus as an example you have no idea what that is reporting back, could be details about a potential new virus, could be an entire list of files on your computer, all you will know is the program is sending something. There is no way for you to know unless you are packet capturing every bit of upload data and then analysising it in detail (which i doubt) or that whatever antivirus software you are using details about what it sends have already been identified and described online or in other documentation. Frankly what decades old systems have to do with things i dunno. If you are paranoid to the degree you think you are going to get hacked or similar due to anything sending telemetry data and an exploit being found via it or similar data that is sent, then you best just get offline entirely or at the least keep things offline entirely that you do not want exploited because sending data back happens in more rather than less of everything connected to the net nowadays. Christ i hope you do not own a mobile phone that runs apps, you would literally s**t yourself if you are this worried. chances are you have a line fault causing low sync. i get the full 40/10 all the time. only gripe i have is their routing seems to travel around the country instead of a direct route to london and raises ping times 5ms higher than bt’s network. How you even measure a .6 of a mb is curious (Did you mean Mb which in all your whinge posts you never seem to be able to type correctly? )and what an mps is ive no idea, obviously some new fangled measure on your home world. can this be disabled ??? i dont want or need my wifi configuration monitoring and adjusting constantly and i dont want any data sent back/forth over my connection that will cause a lag spike in my games. talktalk need to explain exactly what this software is going to do, when its going to do it and when will it send/recieve data and can we turn it off. A few bits of telemetry here and there won’t impact your gaming traffic. Those vital few milliseconds won’t be harmed by anything being the choice of a budget ISP with a questionable network as a provider. LMAO chances are the game you are playing and the OS you are using is sending more telemetry data back than this modem/router feature is likely to send. Then again if you are that concerned about any “lag” in your precious gaming experience you would not be using wifi in the first place. So perhaps errrm, turn wifi off? Compensate me to.orrow . Then I’ll leave when my contact is up . Suggest you re-read up on how and when you are due compensation under the new Ofcom rules. I have no complaint with TalkTalk over the wi-fi coverage in my home installation but I have regularly complained that the whole system drops out at least three or four times a day, sometimes remaining down for hours at a time. TalkTalk’s answer to this is to fire the same questions at me on every complaint addressing only the installation within my premises and never their equipment which they always maintain shows no fault during their tests. One of my complaints did generate a visit from Openreach who confirmed that there was no fault anywhere between their equipment and my modem but hinted that speed and access is adjusted and automatially modified by TalkTalk before the signal reaches the Openreach equipment and therefore out of their control. TalkTalk are a hopeless ISP and would never recommend them to anybody. 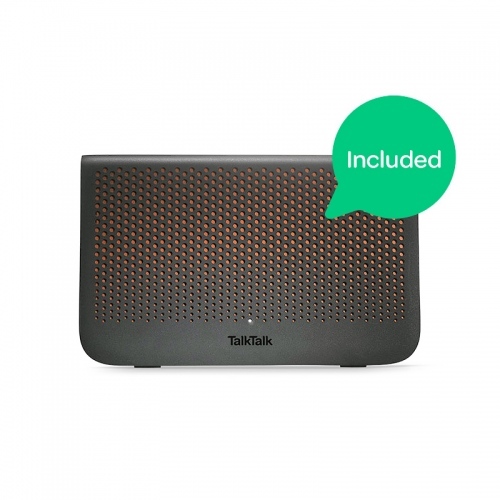 Have TalkTalk fixed the constant TSL handshake issue on the new “WiFi Hub” yet? Any sites or services using HTTPS/SSL hang on load due to TLS handshaking; even getting on to TalkTalk’s community pages to read other users’ issues do not load. Moving back to the old Huawei “Super Router” has no issues and there has been a firmware update this year which did fix the Hub forgetting friendly names and LED control options. This is all just basically copying Google as they’ve been doing this since day 1 with its WiFi system. It’s nothing new and I’d argue against it being worth it. I wish they had better customer service, my wife has not been able to access her emails for three months now and the same thing started to happen with my emails yesterday, something to do with them migrating on a new system and just signed up with them for 18 months, hopefully someone from talk tlak will pick this up and call me, bad customer service. Perhaps he thinks they are collecting telemetry from here also LOL.